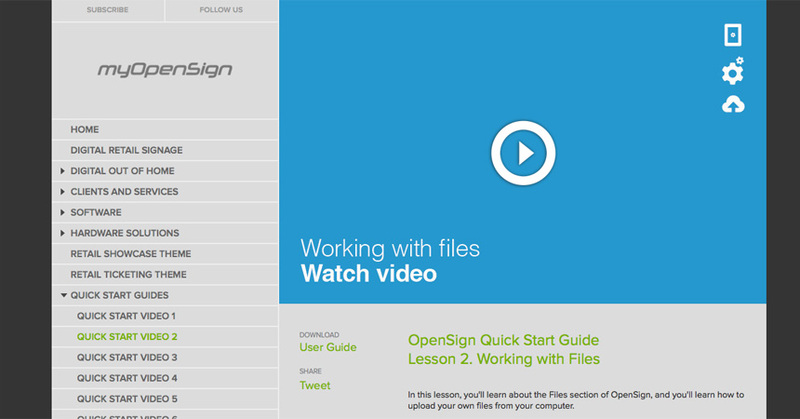 From November through December 2012, I wrote scripts for a series of product support videos for BlocksGlobal and OpenSign, a company specializing in bringing marketing content to touchscreens and other digital signage devices. To learn more about the product, I began by getting a hands-on tutorial in working with the devices and the online platform from a company representative. I created several marketing messages, and I learned how to place them onto different Android devices. I also worked with a member of the company’s product support team to troubleshoot problems users were most likely to encounter. I completed two rounds of edits to the video scripts for my clients, and the final recorded videos were published online in December 2012. 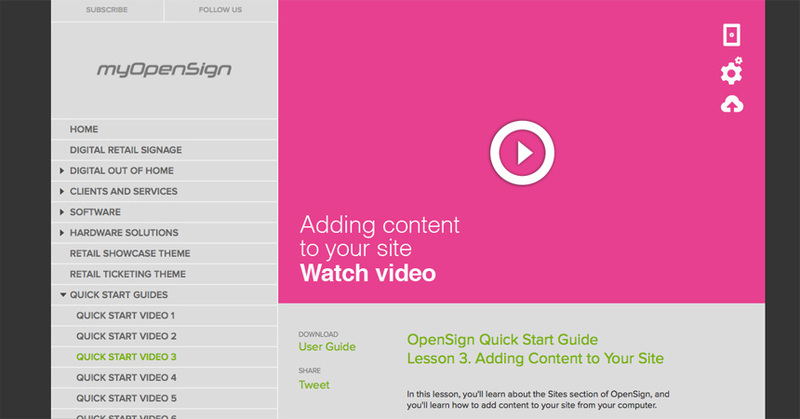 To visit the website and view the videos I wrote the scripts for, please visit the OpenSign website.